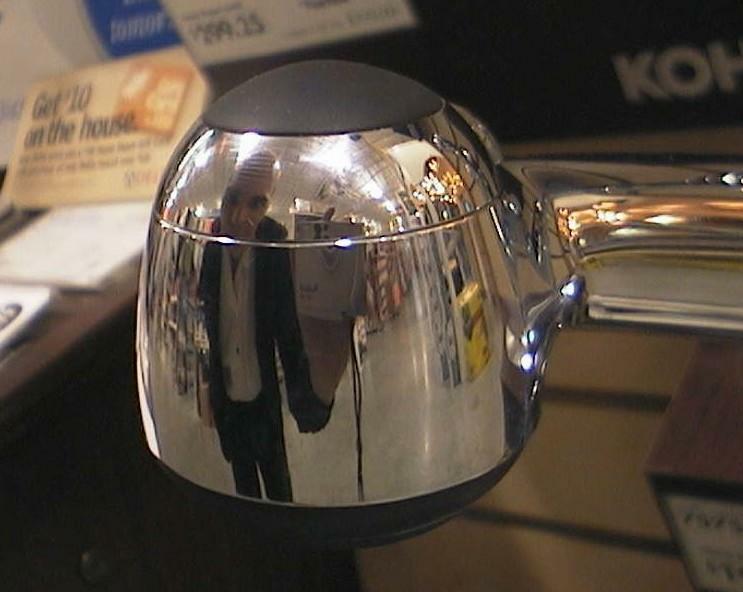 Here is a self-portrait taken in a shiny faucet on a Home Depot display wall. See Photo Friday website for more information. And see tomorrow's blog entry for another interpretation of the faucet theme.